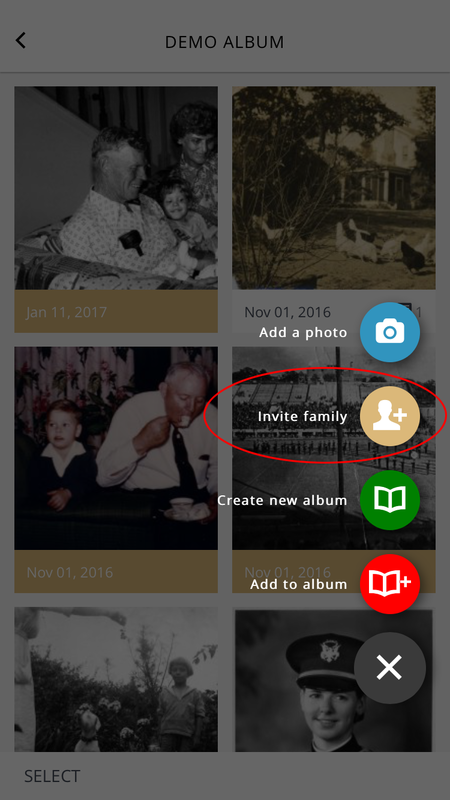 Albums are groups of photos, which can be shared in their entirety with family and friends. 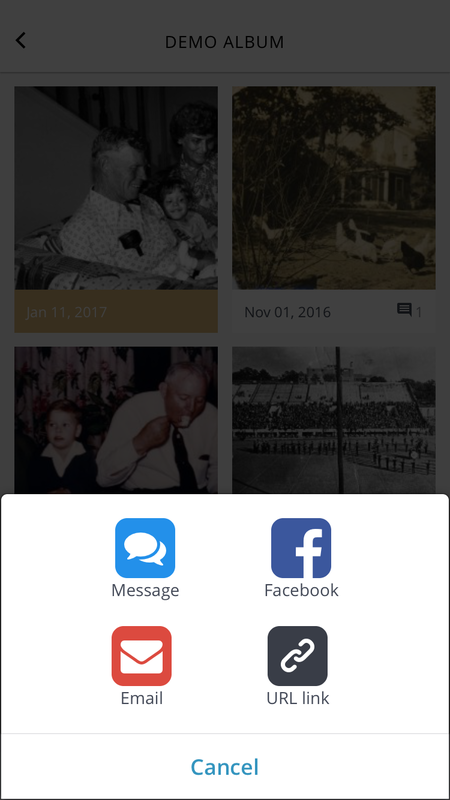 When you share an album with family members, they can see all the photos in that album, add photos and comment on the photos in the album. 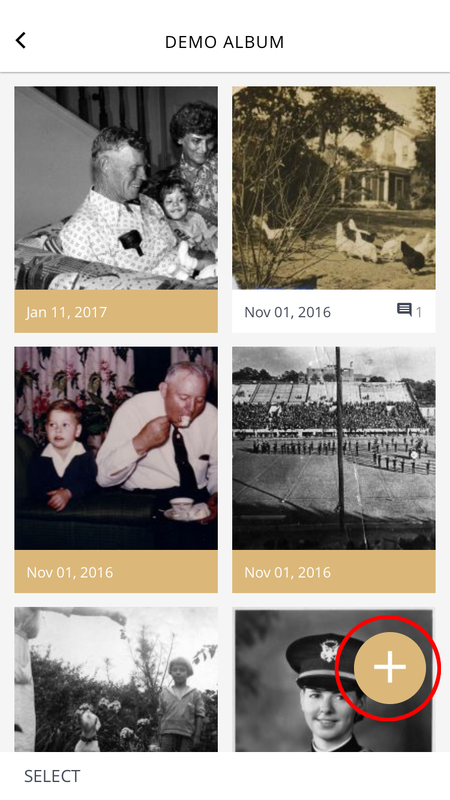 From an album (except “My Photos” or “Shared Photos”) click on the + button. Choose a method to share the album with your family. If you choose URL Link, you can copy it to your clipboard and paste it into an email, text message, or anything else. Just remember whoever has the link can access the album.